What is Hongjiang Ancient Commercial City ? 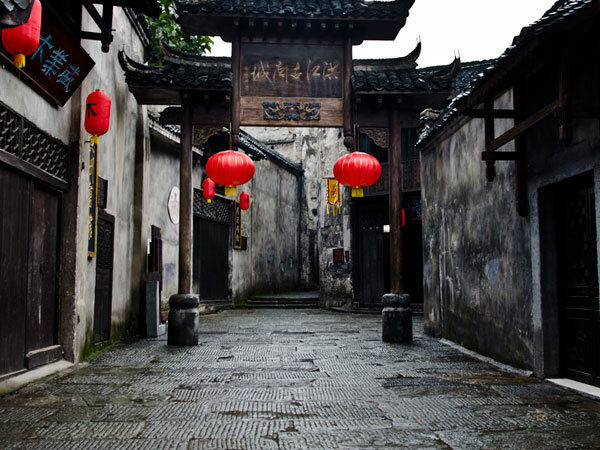 Known for its collection of tung oil, wood, white wax and opium in the ancient times, Hongjiang Ancient Commercial City was acclaimed as “the Pearl in West Hunan” and “the Metropolis in Southwest China” in the past. More than 2,000 old buildings are well preserved there. With exquisite window sills, cornices, and carved doors, most of the old buildings were built in bricks, wood and stones but without any iron nails. Old temples, market buildings, pose houses, government offices, old-style private banks, banks, ancient academies, provincial or country guilds, workshops, inns, foreign firms, tobacco houses, brothels, tea houses and so on stands on either side of the 3 - 4 kilometers long street. Visitors can enjoy the relative shows at Lijinju (厘金局) - the ancient revenue authority, Shaoxingban (绍兴班) - the high-class brothel, Hefengyuan (荷风院)- the high-class brothel, Zhongyi Piaoju (忠义镖局) - the famed bodyguard agency and other attractions for free with the ticket for the old city. The best time to visit Hongjiang Old City is spring and autumn. If you are planning to visit there for photography purposes, you can visit it around the year. As Hongjiang Old City is situated in Huaihua, there are direct buses from Huaihua South Bus Station (怀化汽车南站) or Changsha South Bus Station (长沙汽车南站) to Hongjiang. Therefore, there are several options. Rent a vehicle from Huaihua or Changsha. This is the quickest and most direct option. Take a train to Huaihua from Wuhan, Beijing, Guiyang, Zhangjiajie or other cities or Changsha from Guilin, Chengdu, Shenzhen, Guiyang, Zhangjiajie, Wuchang or other cities at first. Then, take a direct bus from Huaihua South Bus Station or Changsha South Bus Station to Hongjiang. Take a flight from Bejing, Guangzhou, Shanghai, Kunming, Shenzhen or Changsha to Zhijiang Airport which is located 1.5 hours drive from Hongjiang. Then take a taxi directly to Hongjiang. Alternatively, take the airport shuttle bus to Huaihua. And take a direct bus from Huaihua South Bus Station to Hongjiang. Please follow the local guide to avoid getting lost in the old city. In addition, if you follow the local guide, you can enjoy the shows done at every attractions in the old city. Interested in visiting Hongjiang Ancient Commercial City on a Tour? Wendy Wei Tours offers a variety of different packaged tours as well as custom tours including Hongjiang Ancient Commercial City, among other attractions and destinations. To find out more, please visit our Tours page or Contact Us directly to find out more.